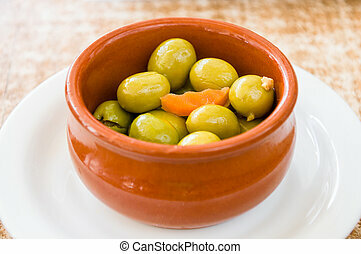 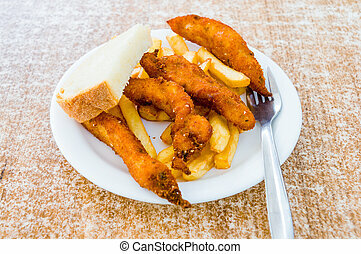 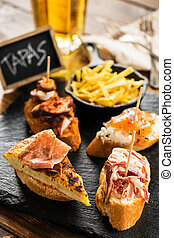 Spanish tapas. 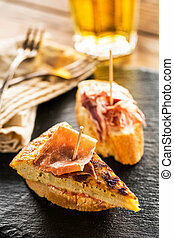 Pork meat with cheese tapas, ready to eat. 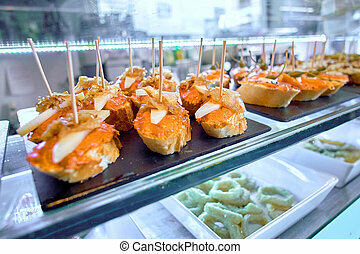 Pork meat with cheese tapas, ready to eat. 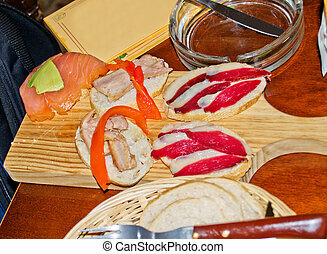 A table full of Spanish tapas. 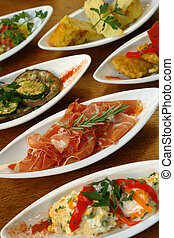 Spanish tapas on white plate. 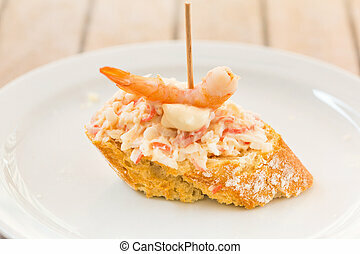 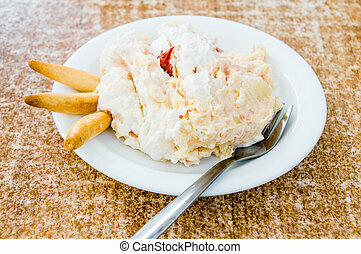 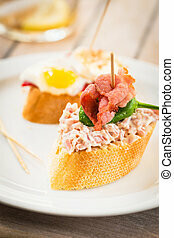 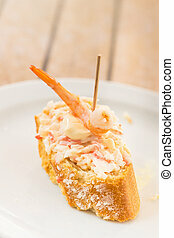 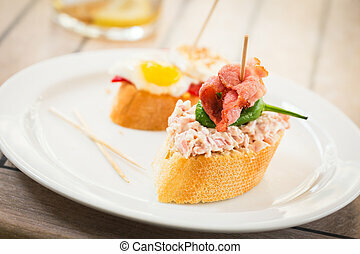 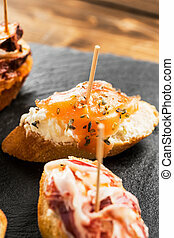 Spanish tapas: prawn, mayonnaise and tuna. 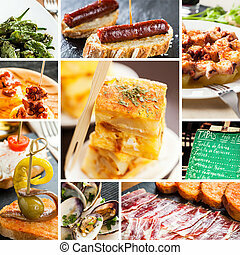 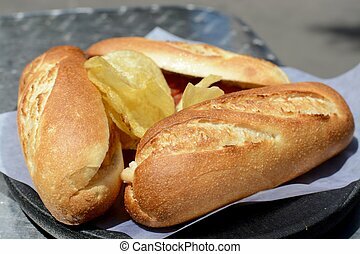 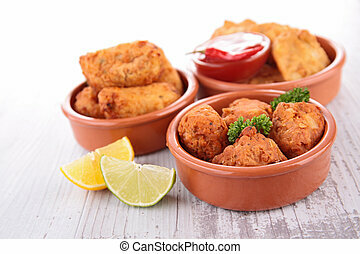 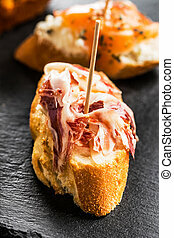 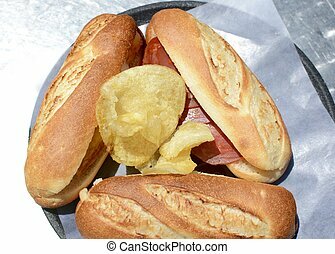 Collage of typical spanish tapas food. 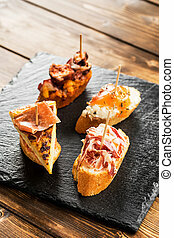 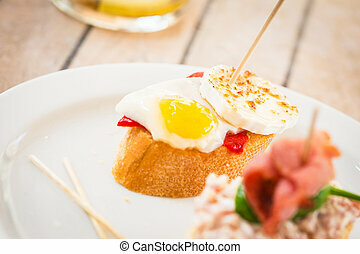 Delicious spanish tapas served on a wooden table. 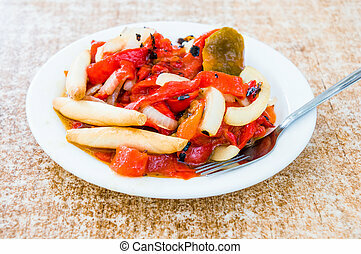 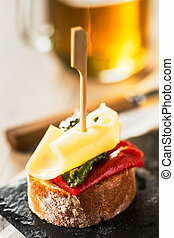 Red and green peppers with cheese, spanish tapas. 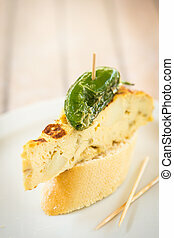 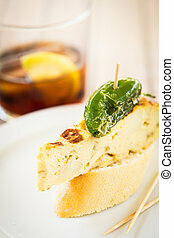 Typical spanish tapas: tortilla de patatas and green pepper. 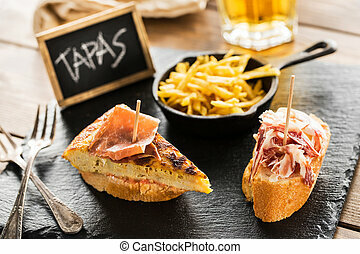 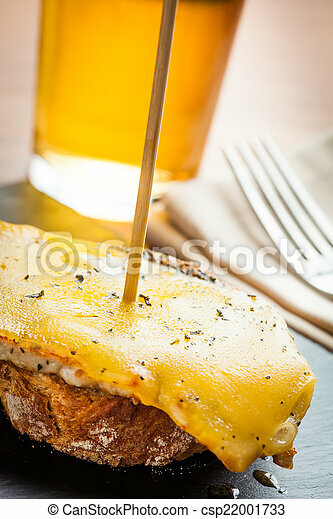 Delicious spanish tapas and beer served on a wooden table.